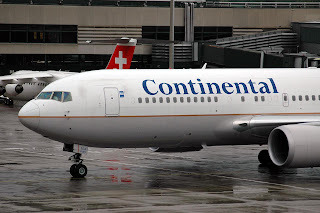 Air Canada aims to expand its reach to new destinations through a partnership with Continental Airlines that will put the carriers' passengers on each other's planes while maintaining their frequent flier benefits, it said Thursday. The proposed code-sharing deal would offer Air Canada passengers more options for connecting flights while keeping its own operating and marketing costs down against a backdrop of soaring fuel prices, the country's biggest airline said. It coincides with plans by Continental, the No. 4 U.S. airline, to join the Star Alliance group of carriers, which includes Air Canada, United Airlines, Lufthansa and others. 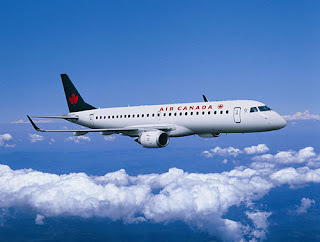 "Air Canada, United and Continental, between us, will have probably the most comprehensive network you can have in North America," said Ben Smith, executive vice president and chief commercial officer at Air Canada. "This will also allow us to expand our ability to loose peoples bags on two different hemispheres, and oh yeh, we still aren't giving you any damn peanuts." "On another track, we are working with Lufthansa, United, Continental, to form a quadrilateral joint-venture trans-Atlantic alliance, and we've applied for immunity to start working on that."